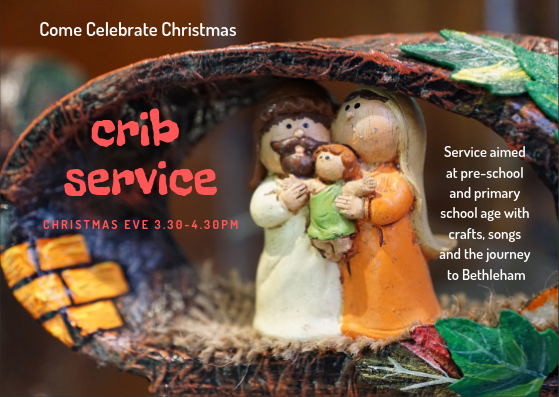 Mulled wine and mince pies will be served after each of these services so please stick around for this. 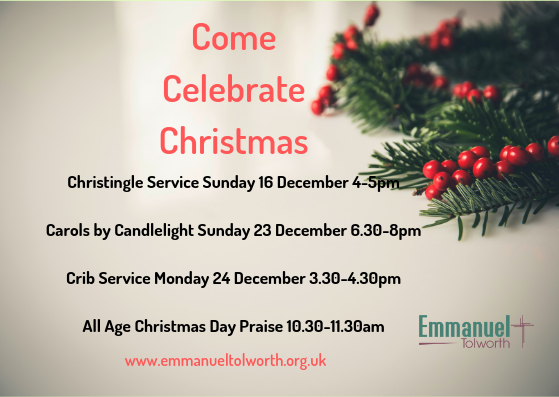 We also meet on Christmas morning at 10.30am for our all age celebration service followed by communion for those who wish. 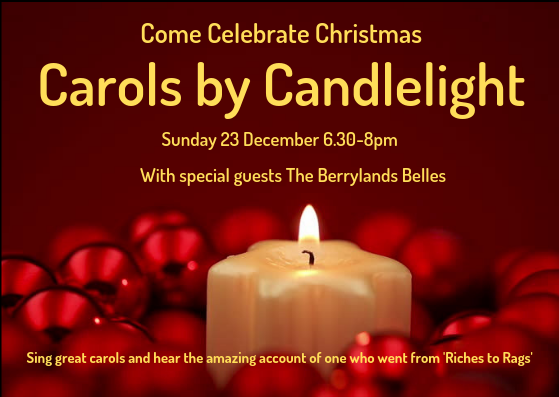 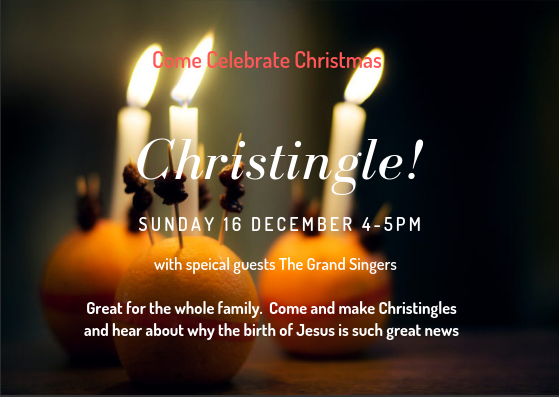 Come Celebrate Christmas– the birth of our Saviour.